A list of sculptures by breed and by scale can be found here. Some horses can be purchased instantly from their page. Otherwise please inquire as some horses are available in very limited quantities. Sold out editions are indicated. News and Sales Join my mailing list to be notified of new releases, auctions, sales & previews. In addition there are often several of my sculptures both painted and unpainted available from private collectors at the MH$P - search "McDermott". And don't forget to check references at the MHHR before you buy. News Join my Yahoo mailing list to be notified of new releases, auctions, sales & previews. 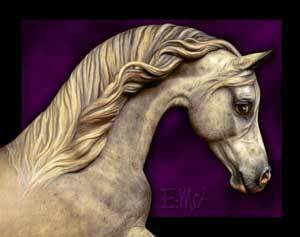 Plan on attending these model horse shows hosted by NAMHSA, Breyer Model Horses and Stone Horses for Collectors of Model Horses and Lovers of Equine Art and Figurines! June 26 - 28 at the Portland Expo Center, Oregon. 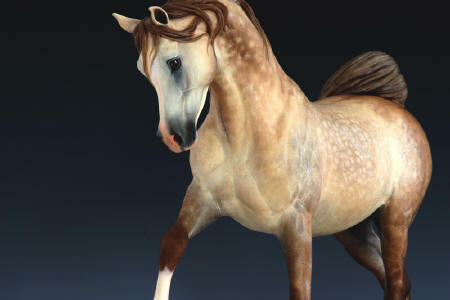 The North American Nationals (NAN) 2009 is a national championship show for model horses. It is the largest model horse show. NAN attracts participants from around the globe. For live photos and show results click here: North American Nationals (NAN). Hosted by NAMHSA. June 12 - 14 2009 at the Western States Horse Expo in Sacramento, California. Hosted by Breyer Model Horses at the largest and most comprehensive equestrian exposition in North America. Once in the gates, come down to The Breed Pavilion and enjoy Stablemates® painting, fun crafts and activities, model horse information, raffles, and a Breyer model display where you can be the first to see the newest Breyer product. Two great model horse shows, Open and Novice, are also available for additional fees. 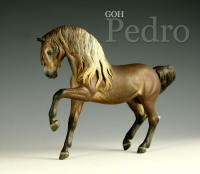 Subscribe to MyGalleryofHorses an announcement list for new sculptures released by equine artist Deborah McDermott. Also sneak previews, updates on current sculptures, auctions and special offerings. 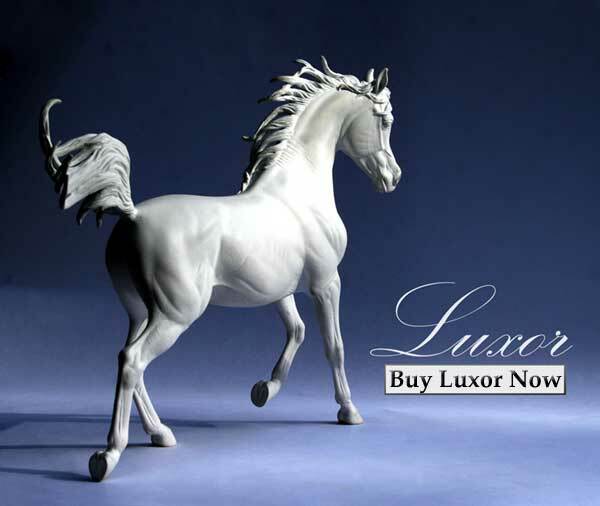 You will be the first to find out about new model horse limited edition sculptures! "Hundreds of trainers withdrew their horses from competition at a major Tennessee Walking Horse show last weekend after USDA inspectors arrived on the scene to examine horses for violations of the Horse Protection Act." "Two Tennessee Walking Horse owners tell their very emotional stories of growing up with soring, and what caused them to change." Of the 54 Riders Cup Top Trainers named by the Walking Horse Report in 2007 ONLY 4 had NO SORING VIOLATIONS. The rest shared a total of 204 violations. There were 15 HPA suspensions between the 13 honorees recently inducted into the Walking Horse Hall of Fame. One honoree had 6 suspensions. One honoree who had no suspensions was the organist. © Copyright 2002-2008 - All images and sculptures in bronze, resin, fine bone china, stone, gold and silver jewelry of equines, Arabian stallions and unicorns are copyright property of Deborah McDermott and may not be used, reproduced, copied or altered in any form or by any means without permission in writing from the artist Deborah McDermott. Murrieta, California. Last updated: 01/17/14.